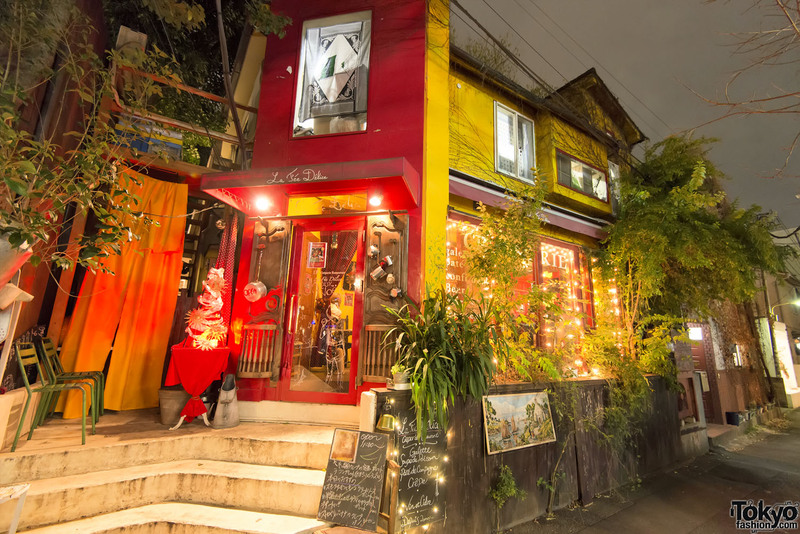 Over one hundred pictures of the 2013 Christmas season in Harajuku – featuring the shops and sights of Cat Street and the Ura-Hara area. Ura-Hara Streetwear Style Trio w/ Revolver x Phenomenon Backpack, Bounty Hunter, Supreme, Neighborhood, Alife, HUF, APC & more. 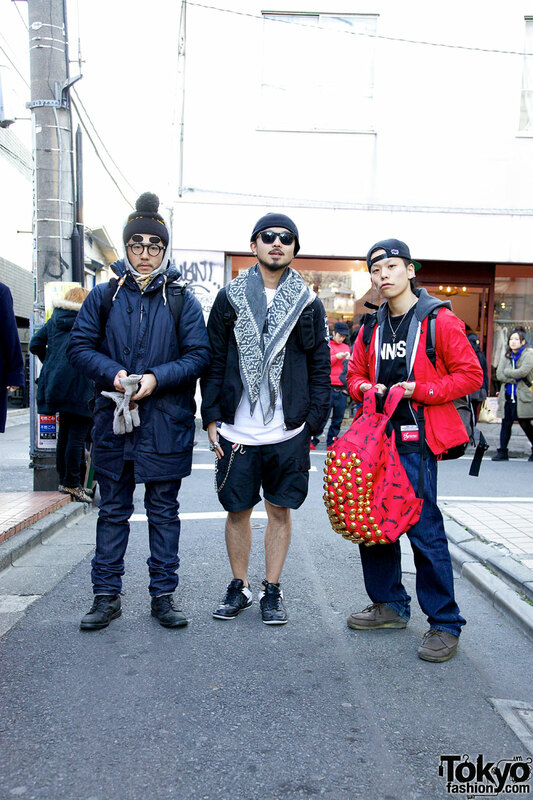 Three guys in Harajuku dressed in items from popular streetwear brands including Supreme, Bounty Hunter, Phenomenon, Revolver, and Neighborhood. A Japanese guy wearing a Neighborhood brand stadium jacket with leopard print accents and a cute girl in glasses – on the street in Harajuku. 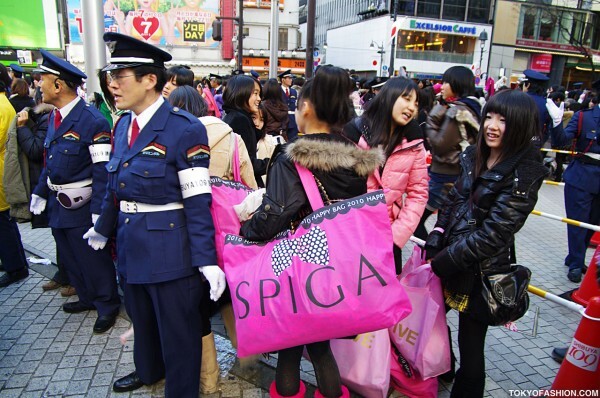 Japanese Lucky Bags 2010 – Lots of Pictures! 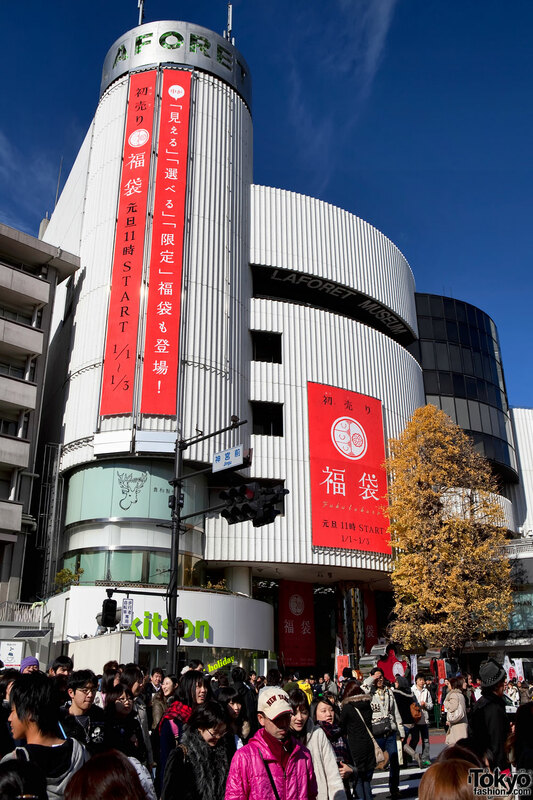 Over one hundred photographs of Shibuya 109 and other shops in Shibuya and Harajuku on January 2nd, 2010 – the peak Lucky Bag shopping time in Japan!